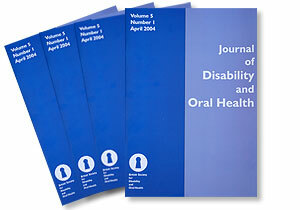 As a member of NFH/IADH, you have free access to Journal of Disability and Oral Health (JODH). Please then send an email to support@shancocksltd.co.uk requesting access to the JDOH online including ‘IADH Member’ in the subject of your email. Please go to www.jdohonline.org and register, when you will need to enter your email address. Registration will ensure your personal details are correct and enable you to create a password of your choosing. You will then receive an email confirming your details and that your account is active.